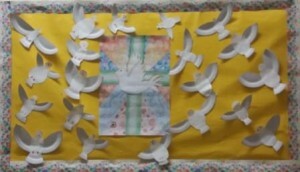 The pupils in Miss O’Dowd’s 2nd and 3rd class made this lovely display for our Sacred Space board this month. 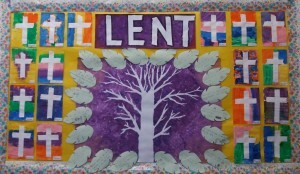 On the leaves of the tree they have written their Lenten promises. The pupils in Miss Sweetman’s 5th and 6th class made these beautiful doves to represent the Holy Spirit for this month’s Sacred Space display. 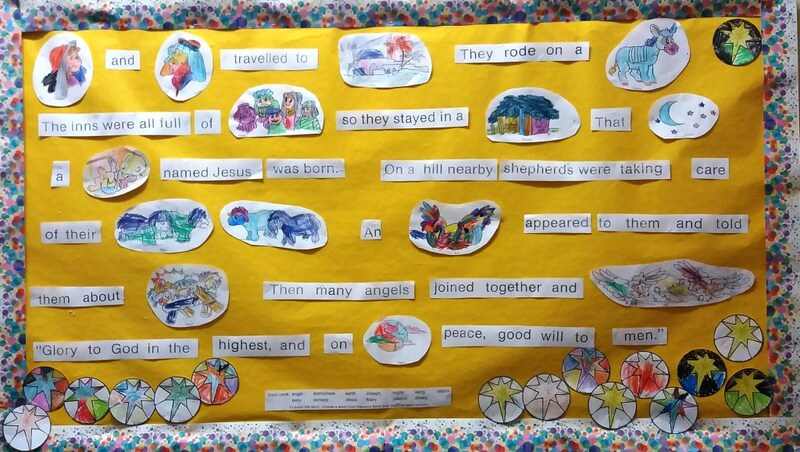 For our Sacred Space this month Junior Infants have told us the story of the birth of Jesus and have shown us their lovely colouring! 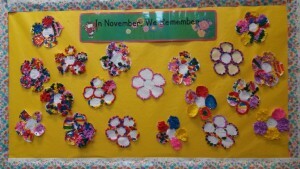 For our November Sacred Space the theme is Remembrance. 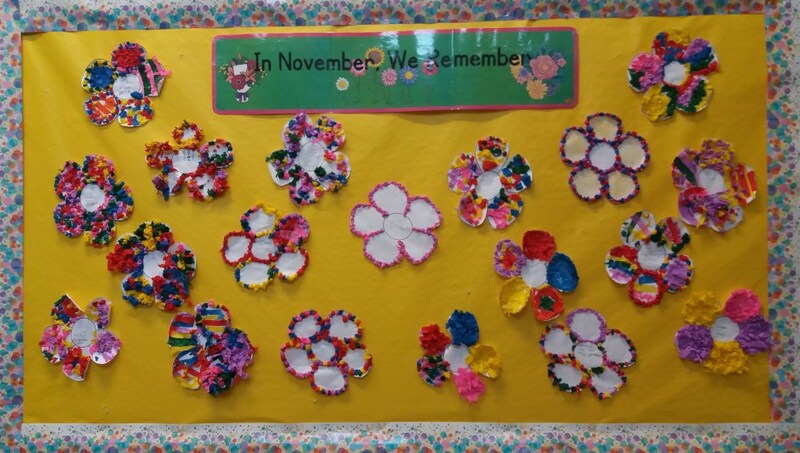 The children in Miss Walshe’s class made this beautiful display of flowers with the names of people that they remember with love. 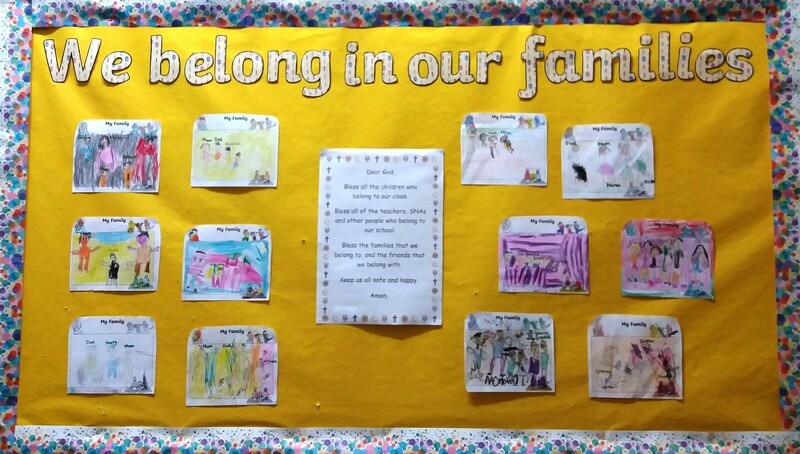 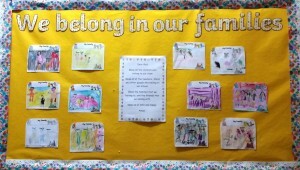 The children in Miss Reynold’s class drew lovely pictures of their families for this month’s Sacred Space display. 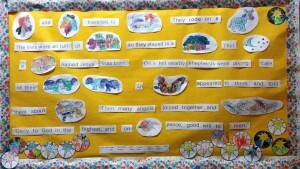 Maths Games are back again!